A group of civil and voting rights organizations is suing the state’s chief election officers and local election officials in five counties, claiming Texas’ voter citizenship review efforts are unconstitutional because they intentionally target naturalized citizens and voters of color. In a lawsuit filed Monday in a Galveston federal court, the MOVE Texas Civic Fund, the Jolt Initiative, the League of Women Voters of Texas and the Texas NAACP allege that the state’s move to flag tens of thousands of voters for review using faulty data violates the equal protection clause of the U.S. Constitution. They claim the effort places an undue burden on the right to vote and treats naturalized citizens differently than those born in the county. The groups also allege that the state violated the Constitution and the federal Voting Rights Act by acting at least in part with the goal of discriminating against voters of color when it advised counties to verify the citizenship status of the voters it flagged. The lawsuit against Texas Secretary of State David Whitley, Director of Elections Keith Ingram, and local election officials in Galveston, Blanco, Fayette, Caldwell and Washington counties is the third one filed against state officials since Jan. 25, when the state announced that it was sending counties a list of approximately 95,000 registered voters who told the Texas Department of Safety they were not citizens when they obtained their driver’s licenses or ID cards. In their complaint, the plaintiffs — represented by the ACLU of Texas, the national ACLU, the Texas Civil Rights Project, Demos and the Lawyers’ Committee for Civil Rights Under Law — argue that Whitley “declined to include safeguards” in the process that would ensure naturalized citizens weren’t erroneously included on the list. See here and here for the scoop on the other lawsuits, and here for a copy of the complaint. I had speculated in yesterday’s post about Lawsuit #2 that we could get this one as well, as the groups representing these plaintiffs had had specifically said they would sue if the SOS didn’t back all the way off. Gotta follow through when you say stuff like that, so folks will know you don’t mess around. At this point, we’re waiting to see what the courts will say. In an ideal world, they will force the state to do what these plaintiffs asked in the first place, which is to get their crap together before they put out baloney like this. Here’s hoping. On a related note, Mayor Turner released a statement urging Harris County Tax Assessor Ann Harris Bennett to reject the SOS advisory, which you can find here. Hey, remember that lawsuit that argued that statewide elections of judges was discriminatory against Latinos? The case is being heard in court this week. El Paso lawyer Carmen Rodriguez and Juanita Valdez-Cox, a community organizer in the Rio Grande Valley, live hundreds of miles from each other, but they share an electoral grievance that could upend the way Texans fill seats on the state’s highest courts. For years, Rodriguez and Valdez-Cox have noticed that campaigning for the Texas Supreme Court and Court of Criminal Appeals hardly reaches their corners of the state. And it’s left them feeling so neglected and undermined as voters that they decided to the sue Texas over the statewide election system it uses to fill seats on those courts. That sentiment is a key component to a lawsuit filed on behalf of Rodriguez, six other Hispanic voters and Valdez-Cox’s organization, La Union del Pueblo Entero, that alleges the statewide method of electing judges violates the federal Voting Rights Act because it dilutes the voting power of Texas Hispanics and keeps them from electing their preferred candidates.U.S. District Judge Nelva Gonzales Ramos has set aside the rest of the week for the trial during which the plaintiffs’ lawyers will work to convince Ramos that Texas should adopt a single-member approach — similar to those employed by some city councils and school boards — that would carve up districts geographically in a way that could allow for Latino-majority voting districts. “The courts cannot be the great equalizer of our social fabric when one group — Latinos — are disadvantaged in the election process,” Jose Garza, an attorney representing the voters, said in his opening statement Monday. Throughout the day, Garza and other attorneys representing the voters suing the state called up individual plaintiffs and election law and history experts to help make their case that the state’s current system for electing Supreme Court and Court of Criminal Appeals judges “submerges Latino voters” in a manner that violates Section 2 of the federal Voting Rights Act, which prohibits an electoral practice or procedure that discriminates against voters. Lawyers for the Texas attorney general’s office, which is representing the state in court, will offer up their own experts later in the week in hopes of dispelling those claims. The state’s lead attorney, Patrick Sweeten, on Monday provided a preview of their arguments when he described their defense and the plaintiffs’ arguments as “two ships passing in the night” because the state’s evidence will show that the plaintiffs cannot meet their legal burden of proving a Section 2 violation. The state is also expected to call up an expert witness who will argue that single-member districts would “disempower more Hispanic voters than they could potentially empower” because they would only be able to vote for one seat on each high court instead of casting a ballot for all 18 seats. Plaintiffs’ lawyers spent a large portion of the day arguing that that point would only hold up if you assumed Latinos had the opportunity to elect their preferred candidates to begin with. See here and here for some background. The plaintiffs survived a motion to dismiss a few months ago. This story was from Tuesday, but I haven’t seen anything more recent so I can’t say how the trial is going. Seems like a heavy lift to me, and there’s an argument to be made that districting the courts would put a ceiling on the number of Latinos that could be elected. You have to figure that sooner or later things will be different for statewide races. That said, I very much understand not wanting to wait, though of course taking a court case to completion will take some number of years. We’re at the start of that process, and we’ll see how it goes. Courthouse News and KUT have more. 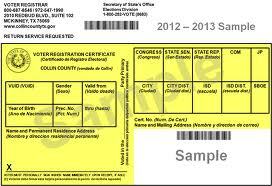 This has been a busy week for litigation related to voting rights issues in Texas. Here are updates to some cases, all of which happened this past week. The court also asked the parties to be ready to discuss the timing for its consideration of requests that Texas be bailed back into preclearance coverage under section 3© of the Voting Rights Act. A copy of the court’s order setting a status conference can be found here. See here and here for the background. The plaintiffs want a new map in place by July 1. A couple of days after that happened, the plaintiffs responded. On Friday, plaintiffs in the Texas redistricting responded in a court filing to the State of Texas’ position that it was premature to consider the plaintiff’s request to block and require a redraw of the state’s congressional map (Plan C235). In the filing, the plaintiffs told the court that while there was sufficient time to remedy constitutional defects in the map if the process began now, “delaying all relief until the Court schedules and holds another trial and issues another merits determination would raise a serious risk that Plaintiffs will be forced to vote in yet another election under unconstitutional districts.” The plaintiffs noting that filing for the 2018 Texas primary will open on November 11 and that a number of steps would have to occur to finalize any map changes, including redrawing precinct boundaries. Circle April 27 on your calendar. We won’t have final answers to these questions then, but we should have some idea of what answers to expect. [On April 3], Chief Judge Orlando Garcia of the U.S. District Court for the Western District of Texas denied the state’s motion to dismiss Stringer v. Pablos, TCRP’s “motor voter” case. This decision provides critical validation of the arguments advanced by the plaintiffs — disenfranchised Texas voters — who challenge voter registration processes at the Department of Public Safety under the National Voter Registration Act, or NVRA, and the U.S. Constitution. One by one, Judge Garcia considered the state’s arguments for dismissal and rejected them. Judge Garcia found the state’s current procedures “inconsistent with the plain language of the NVRA,” refusing to adopt “circular and self-defeating” interpretations of the NVRA offered by the defendants. Instead, the Judge expressly found that the NVRA applies to the thousands of online transactions Texans initiated through DPS.gov every day. This ruling means that the Secretary of State should be registering and updating voter registrations for all of these individuals as a matter of course unless they opt out. Moreover, any alleged interest in avoiding the upfront expense in creating a modern system cannot justify “the burden imposed on voters” under the Equal Protection Clause. Judge Garcia’s decision comes on the heels of sanctions imposed against Texas on February 17th for causing undue delay and for repeatedly, and without justification, ignoring court orders to provide the necessary documents to move forward with the case. TCRP represents the plaintiffs with co-counsel at Waters Kraus LLP. See here, here, and here for some background. Link via Rick Hasen. A federal judge has denied the state of Texas’ attempt to quash a lawsuit that challenges the way the state elects judges to the Texas Supreme Court and Court of Criminal Appeals. Seven Hispanic voters (six from Nueces County and one from El Paso) and a civic organization, La Unión Del Pueblo Entero Inc., allege in the suit that Latino candidates almost always lose statewide elections for judges to the two highest courts in Texas. In an opinion issued Monday, U.S. District Judge Nelva Ramos ruled that all the plaintiffs have standing to bring the suit under the Voting Rights Act. The judge rejected the state’s argument that the plaintiffs had failed to state a cause of action under Section 2 of the law, noting that the U.S. Supreme Court has already held that Section 2 applies to judicial elections. The ruling clears the way for a trial, according to a news release from two law firms and an organization representing the plaintiffs. See here and here for the background, and here for a copy of the judge’s order. It’s not clear to me what a remedy for this looks like if the plaintiffs ultimately prevail, but in the meantime it will be interesting to see how this plays out. Rick Hasen has one of the press releases mentioned in the story; I couldn’t find any others googling around. Proposed legislative changes to Texas’ voter ID law won’t affect a lawsuit’s claim that the law is discriminatory, a federal judge has ruled. U.S. District Judge Nelva Gonzales Ramos, based in Corpus Christi, made the declaration in an opinion that also allowed the Justice Department to withdraw from the case. The opinion follows a hearing in February in which — as directed by a federal appeals court, the U.S. Fifth Circuit — she heard more arguments about whether the law, SB 14, was passed with discriminatory intent. The state argued that lawmakers planned fixes to be made in Austin with a measure called Senate Bill 5. “The court holds that the Fifth Circuit did not direct this Court to withhold a decision on the discriminatory purpose claim and that the claim is not, and will not be, moot as a result of pending or future legislation,” Gonzales Ramos wrote. The civil rights groups that brought the suit say the proposed changes, if passed in the newly introduced legislation, are irrelevant and that the GOP-controlled Legislature designed and passed the 2011 voter i.d. law with discriminatory purpose. See here and here for some background. Judge Ramos did let the Justice Department officially withdraw from the case, so only the private plaintiffs will continue on. Her order can be seen here, in which she sets a status call on June 7 to discuss whether an evidentiary hearing on remedies is required, how long that might take, and what the deadlines for briefs and whatnot should be. This too came via Rick Hasen. 1. The judges in the redistricting case will discuss wrapping up the other items and figuring out what to do with the Congressional map on April 27 with the litigants. This isn’t a hearing, just a discussion of what they all will be doing and when they will be doing it. 2. Similarly, the judge in the litigation to determine (again, under the standards set by the Fifth Circuit) whether the 2011 voter ID law was passed with discriminatory intent will discuss the schedule and logistics with the attorneys on June 7. 3. Two previously filed lawsuits, one that alleges the state of Texas does not comply with federal Motor Voter laws and one that argues that the statewide election of judges violates the Voting Rights Act, survived motions to dismiss. There are now at least two lawsuits like this in the federal courts. Tuscaloosa reverend Curtis Travis has been voting his whole life in Alabama. While nearly one-fourth of the voting population, like him, is black, the three highest courts in the state are entirely white, and have been so for more than a decade. On Wednesday, Travis and three other African American voters sued the state for conducting its judicial elections in a way they say prevents voters of color from electing the candidates of their choice. They argue that at-large elections, in which the entire state votes on all of the state’s top judges, has prevented them from electing anyone who truly represents them. The Alabama State Conference of the NAACP, representing these four black voters, accused Alabama on Wednesday of violating the Voting Rights Act by electing all 19 of the state’s top judges in statewide, at-large races with partisan primaries. It is one of just five states to choose their judges this way. Jim Blacksher, an Alabama civil rights attorney working on the case, said that the state’s extreme racial polarization and history of voter suppression made it a prime target for a lawsuit. 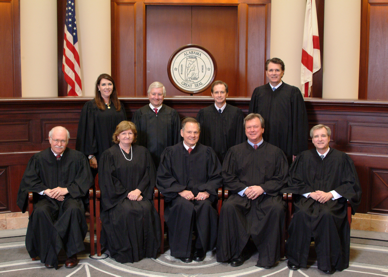 The plaintiffs are demanding the federal district court in Montgomery divide the state up into districts that each elect a member of the state’s Supreme Court and appellate courts. That way, the few sections of the state with majority-black populations have a chance at electing a judge of their choice to the courts. The lawsuit notes that since 1994, every African American candidate that has run for any of the three top courts has lost to a white candidate. Only two black judges have ever been elected to the state Supreme Court, and zero have served on either the Court of Criminal Appeals or the Court of Civil Appeals in the entirety of the state’s history. “We need to create a judiciary that reflects the great diversity you see across the great state of Alabama,” said Kristen Clarke, the president of the Lawyers’ Committee on Civil Rights Under Law. I note this mostly because there was a similar lawsuit filed in Texas in July. As with this lawsuit, that filing requested a district system to replace the at-large one as the solution. (The Lawyers’ Committee on Civil Rights Under Law is involved in both cases.) I have mixed feelings about that, as 1) any district solution would also be subject to redistricting, and that has its own set of issues to contend with, and 2) in each case, the state could effectively pre-empt this litigation by switching to an all-appointment system, which also has its own set of issues. Which is not to say that the current setup is optimal, just that I don’t know right now what might be preferable to it. I mean, getting each of those states to a place where both parties are competitive at the statewide level would probably help, but good luck with that. Daily Kos has more. This happened on the same day as the Fifth Circuit ruling on voter ID. [Wednesday], the Lawyers’ Committee for Civil Rights Under Law (Lawyers’ Committee), Garza Golando Moran, PLLC, and Dechert LLP filed a lawsuit in the U.S. District Court for the Southern District of Texas on behalf of individual Latino voters alleging that the method of electing Texas’s Supreme Court and Court of Criminal Appeals judges violates the Voting Rights Act. 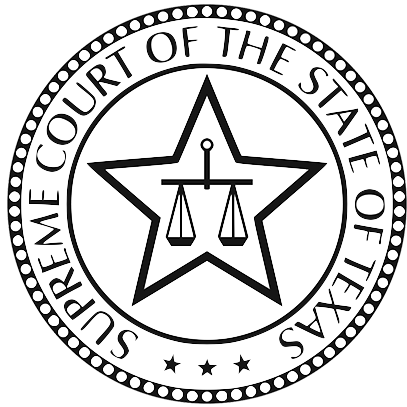 The Texas Supreme Court and Court of Criminal Appeals are the two highest courts in the state and decide critical issues of state civil and criminal law, respectively. All 18 high court judges in Texas, nine for each court, are elected statewide. Because White Texans comprise the majority of the citizen voting age population in the state, and because Latinos consistently prefer different candidates than do Whites, Latino-preferred candidates are almost never elected to the highest levels of the state’s judiciary. Such vote dilution is prohibited by the Voting Rights Act and the state could develop and implement a more representational electoral method. Texas’s Latino citizen voting age population (CVAP) comprises 26.5 percent of the state’s CVAP while White Texans comprise 56.4 percent. With Latinos in the minority and voting polarized along racial lines, Latinos have been significantly underrepresented on both courts for decades. Since 1945, only two of the 48 judges to serve on the Court of Criminal Appeals, a mere 4.2 percent, were Latino. Over the same time period, only five of the 77 justices to serve on the Supreme Court, or 6.5 percent, were Latino. Plaintiffs in the case include six individual voters from Nueces County and an individual voter from El Paso County. Because Texas’s judges largely represent only one subset of Texas voters, there are serious questions as to whether all of the circumstances of a diverse population are fully considered. The Texas Court of Criminal Appeals hears all death penalty cases in the state. From 1977 to 2010, of the 92 executions of Latinos nationwide, 78 were executed in Texas. Recent Supreme Court decisions of critical importance to racial minorities, including a May 2016 ruling limiting school funding for English language learners and economically disadvantaged students, were issued without so much as a dissent. 1. The Supreme Court of Texas (“Supreme Court”) and the Texas Court of Criminal Appeals (“Court of Criminal Appeals”) are the courts of last resort in Texas. They are the final authorities on questions of Texas civil and criminal law, respectively. Together, the two courts render enormously consequential decisions that profoundly affect the lives of all Texans. 2. According to the 2010 Census, Latinos, a significant and rapidly growing racial group, constitute 37.6 percent of Texas’s total population and 26.5 percent of Texas’s citizen voting age population. However, Latinos have been prevented from participating fully in the election of Texas’s high court judges because of the way those judges are elected. That election method, in which all judges for both courts are elected in at-large statewide elections, unlawfully dilutes the voting strength of Latino citizens and prevents them from electing their candidates of choice. prefer different candidates, the at-large method of election functions to deprive more than one quarter of the State’s eligible voting age population from electing judges of their choice to any of the eighteen seats on the two courts. 4. The Latino population and citizen voting age population are sufficiently large and geographically compact to constitute a majority in at least two fairly-drawn single-member districts; the State’s Latinos are politically cohesive; and the State’s white citizen voting age majority votes sufficiently as a bloc to enable it usually to defeat Latino voters’ preferred candidates. Because of these circumstances, as well as the historical, socioeconomic, and electoral conditions of Texas, the at-large election method for the Supreme Court and Court of Criminal Appeals violates Section 2 of the Voting Rights Act, 52 U.S.C. § 10301 (“Section 2”). Thornburg v. Gingles, 478 U.S. 30 (1986). 5. For these reasons, plaintiffs respectfully pray for this Court to issue: (1) a declaratory judgment that the use of at-large elections for the Supreme Court of Texas and the Texas Court of Criminal Appeals violates Section 2 of the Voting Rights Act; (2) an injunction against the further use of at-large elections for the Supreme Court and the Court of Criminal Appeals; (3) an order requiring future elections for the Supreme Court and the Court of Criminal Appeals to be conducted under a method of election that complies with the Constitution and the Voting Rights Act; (4) an award of costs and reasonable attorneys’ fees to plaintiffs, including expert witness fees; and (5) such additional relief as is appropriate. I found this on Wednesday afternoon via Rick Hasen while looking at his coverage of the voter ID ruling. Basically, this is the at-large versus single-member-district debate taken statewide. If you scroll down to the end of the complaint and look at the list of lawyers involved, you will see that one of them is Jose Garza, who has successfully argued voter ID and redistricting cases on behalf of the Mexican American Legislative Caucus. (Both of Garza’s partners, including Martin Golando, are also involved.) Amy Rudd, the first attorney listed in the complaint, was pro bono counsel for the NAACP Texas State Conference and MALC in the voter ID case as well. Point being, this is an experienced legal team taking this on, and it could wind up being a pretty big deal, yet so far the only news coverage I have seen is from Texas Lawyer, KTSA, and the El Paso Times, which notes that six of the plaintiffs are from Nueces County, with the seventh being El Pasoan Carmen Rodriguez, a civil rights attorney and wife of Texas Sen. Jose Rodriguez, D-El Paso. I very much look forward to seeing how this plays out. David Fagan on What will Council do about Prop B layoffs?